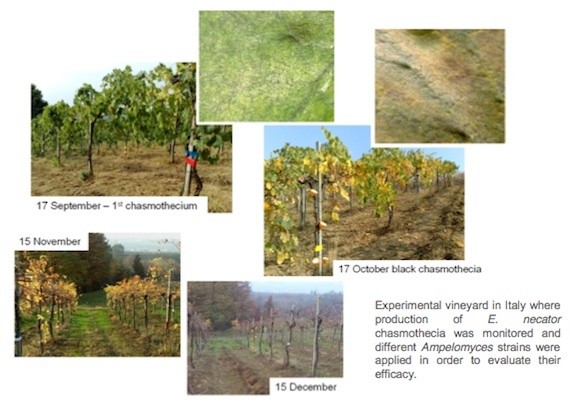 The main objective of this WP was to determine the best time of application of the Ampelomyces inoculum in relation to the life cycle of E. necator to maximize its parasitic activity against grapevine powdery mildew. The results obtained in this WP were foreseen to be used in WP4 and WP5. The complete life cycle of E. necator, i.e. its asexual and sexual stages, were studied to reveal which stage is the most vulnerable to the attack of Ampelomyces mycoparasites.